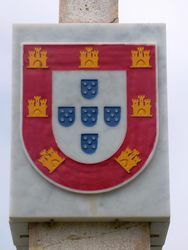 A monument (padrão) commemorates the early voyages of Portuguese navigators in the southern seas. 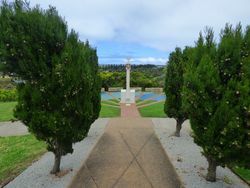 The memorial also includes the busts of Vasco Da Gama, the Portugese explorer and Prince Henry The Navigator. 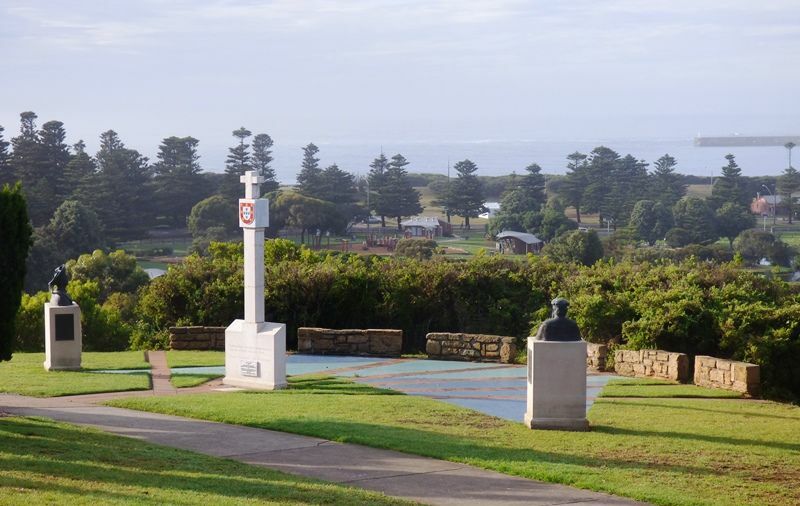 The sculptural installation of the busts were a gift from the Portuguese government and presented to Warrnambool City Council. 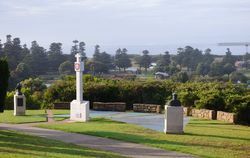 The sculptor, Jose Nuncio, completed the work in 1999, and it was inaugurated at Warrnambool on the 25th February 2001. 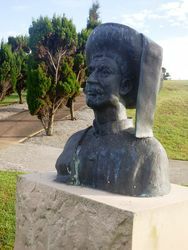 Prince Henry the Navigator founded a school of navigation in Sagres, Portugal. This led to navigation techniques that made the 15th century voyages of discovery possible. The vision of Prince Henry brought together ship builders, cartographers, instrument makers and mathematicians. Vasco de Gama rounded the southern tip of Africa and sailed across the Indian Ocean to India in 1496. This started a new era of trade and exploration, expanding the boundaries of the known world, and linking the east with west. 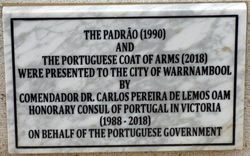 Note: A padrão was a large stone cross inscribed with the coat of arms of Portugal that was placed as part of a land claim by numerous Portugese explorers during the Portugese Age of Discovery. The legend of Portugese explorers in the area is based on many historical reports that a shipwreck was sighted partially buried in the town’s dunes in 1876, before disappearing in the shifting sands the following year. The mysterious ‘Mahogany Ship’ is thought to be a 16th century Portuguese caravel. Assim fomos abrindo- aqueles mares. (Canto V Lusiades, Luis de Camoes).